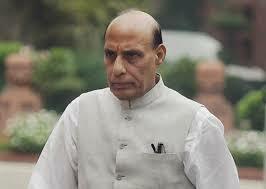 Amidst Union home minister Rajnath Singh along with a group of senior leaders belonging to opposition parties reaching Srinagar for “healing touch”, the Kashmir Scholars' Action Group (KSAG) has asked the UN High Commissioner for Human Rights to work for “internationally mediated political solution” to the Kashmir problem. The letter to Zeid Ra’ad Al Hussein also comes close on the heels of the Government of India reportedly downplaying the offer of a UN fact-finding mission to monitor the situation in Kashmir. Calling itself an interdisciplinary group of scholars of various nationalities engaged in research on the Kashmir, KSAG in its letter insists that there there is a need for the civil society groups to provide him with “regular updates on the situation.” The names of the signatories to the letter, however, have not been revealed. Copies of the letter have been forwarded to Agnes Callamard, UN Special Rapporteur on extra-judicial, summary or arbitrary executions; Juan Mendez, Special Rapporteur on torture and other cruel, inhuman or degrading treatment or punishment; the Working Group on Arbitrary Detention; and the Working Group on Enforced or Involuntary Disappearances, among others.